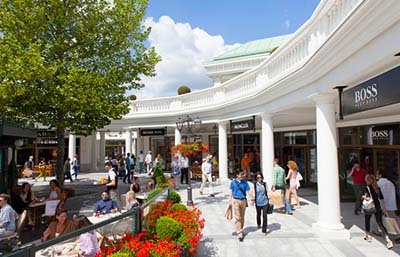 TRANSFER FROM VIENNA TO BUDAPEST WITH TAX FREE SHOPPING IN PARNDORF OUTLET. Private car transfer from Vienna to Budapest or from Budapest to Vienna with a TAX FREE SHOPPING stop in Parndorf. - Transfer for free from Vienna to Budapest? The private car transfer is not free, but you can save money equal to the cost of your transfer by shopping in Parndorf McArthur Designer Outlet Center. Book your private transfer from Vienna to Budapest or from Budapest to Vienna with a tax-free shopping stop! - You can save the whole cost of your transfer by stopping at Pandorf Outlet Center. Vienna Budapest taxi transportation is available everyday, both directions from Budapest to Vienna as well as Vienna to Budapest. How long does it take to drive from Vienna to Budapest? The distance to drive between Vienna and Budapest is approximately 250 km. Average travel time by our taxi is 2,5 hours. Booking a taxi, minivan, minibus transportation are accepted with minimum 24 hours notice. Do you need to book the transfer within 24 hours before the departure? Please call our hotline +36 30 237 6000 in English! Are you tired of shopping already? Designer Outlet Parndorf may become an exception. 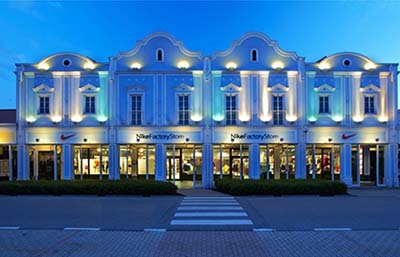 This luxury brand outlet center is like a small village located only 50 km’s south-east from Vienna city center. 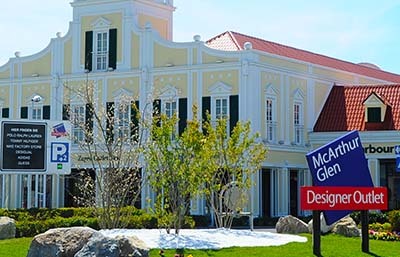 The Designer Outlet offers goods (mainly fashion) of top world’s brands e.g. Gucci, Burberry, Calvin Klein, Hugo Boss and more. Plenty of cafe’s, restaurants, fast foods. It is worth stopping at if you are traveling to/from Vienna or Budapest. We serve both the destinations. 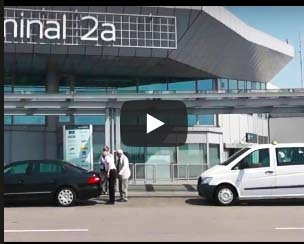 Between Vienna and Budapest, Mercedes Benz station wagons and Mercedes Benz minibus taxis are also available in case of larger groups and more suitcases. The prices include all fees, taxes and costs. There are no extra hidden costs. The driver will pick you up at your accommodation and will drive you comfortably to your destination. We depart according to your schedule. All our taxis are non-smoking, air conditioned and comfortable. Vienna Budapest taxi, minibus, minivan transportation is available everyday, both directions from Budapest to Vienna as well as Vienna to Budapest. The journey by a taxi is fast, convenient, and comfortable. Air conditioned, no smoking taxis and minibuses are easy to book, and reliable. Private car transport is reliable, alternative transportation to trains and flights.